Changing the look, feel and color of your leather investment means you can update and keep pace with trends at a fraction of the cost of replacing your leather piece. Our unique treatments transform worn or damaged leather to look like new. 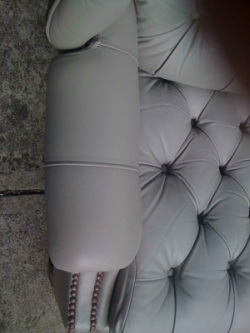 Discolored, damaged leather furnishings, clothing, interiors and other items are fully restored, professionally replicating the grain and color by using our chemical process. Extending the life of your furniture or car interior adds years of enjoyment to your investment, and we promise that with a lifetime guarantee.